Need A New Phone System or New Phone Lines For Your Business? Are you in the market to replace an old phone system? Having to change your PSTN / Fixed Lines over to VoIP? Are your old Copper Lines being replaced by the NBN? Keep hearing you should move to VoIP or SIP, and don’t know where to start to find a reliable and cost effective phone system? If you answered YES to any of the above questions, then Telco Broker is the phone system partner you can rely on, to help your business make an informed decision on your Telecommunications. We can provide you with options for a fully hosted and managed phone system from between $8 – $25/user/month. 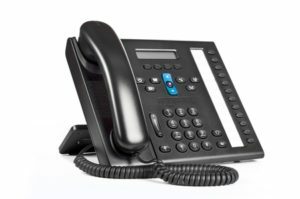 As a vendor independent Telecommunications Brokerage firm, the expert team at Telco Broker have gone to market and assessed and reviewed a broad range of Phone System Solutions and Providers, we can help put some options on the table from providers who are honest, reliable, value for money and have great support and customer service. We have done all the leg work so you don’t have to. You are probably still spending around $35/line/month for your fixed line telephony i.e. PSTN or Copper Lines. Roughly a 30-70% saving from your existing phone lines. Note. These prices are dependent on the type of provider, plan and quality of phone system hardware, but we can help you through that process. We review your phone system requirements, your previous bills, how much you have spent and what features and functionality you need from your phone system. We do a service availability check on your internet connection to make sure that you have a reliable data service to support a phone system. We go to market and provide you withn two to three competitive phone system and hardware quotes. We make a recommendation based on your specific requirements. You make a decision and we work with you and the chosen vendor to help deploy the system and make sure that everything is working properly. Over 10 years of experience working with all the major Australian Telecommunications Providers. Vendor Agnostic and independent, we have reviewed solutions and providers from across the market, and aren’t limited to just one brand or product. Our Telecommunications Engineers and Technicians, are also supported by a team of IT support staff, to ensure that the deployment can be managed end to end. We can also work with you to manage the vendors on an ongoing basis. Telco Broker has helped businesses all over Australia with their Telecommunications and Phone System Needs, we have delivered phone systems and telco services in Sydney, Brisbane, Melbourne, Hobart, Adelaide, Canberra, Perth, Tasmania, Queensland, New South Wales, South Australia and Victoria. Don’t get locked into a 3 -5 year phone system contract before you give Telco Broker a call. Our service is obligation free, we can help you cut through the jargon before you make this business critical decision. We would love to hear from you. Give us a call for an obligation free Business Phone System review. If you need assistance making a decision on your next phone system, contact Telco Broker today for an obligation free initial conversation.